We receive many requests every day regarding how to obtain a car through Second Chances Garage. In order to provide the best service to our clients, we utilize a Partner Agency Program. 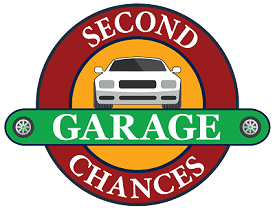 Second Chances Garage only accepts referrals made through one of these Partner Agencies. If you are interested in our Low-Cost Vehicle Program and are already working with one of the Partner Agencies listed here, please speak with your case manager about applying. The Partner Agency will assist you in completing an application once it has determined that you meet the qualifications and have the financial means to afford vehicle ownership. For those of you who are case managers at an agency that is not already listed and you are interested in our Partner Agency program, click here for a copy of our Partner Agency Memorandum of Understanding. Partner agencies may click here for the most recent client application form. Even if you are not connected with a Partner Agency but are looking for low-cost transportation, please take a look at our public car sales page. Second Chances Garage also sells low-cost cars to the general public. Talk with your Partner Agency contact/case manager about jointly completing an application. Program fee of $500 plus $280 (title/tags/registration) is payable when the application is submitted. Each applicant will be asking someone from the sponsoring organization to write a referral letter explaining how long he/she has been working with the client and why that individual would be a great candidate for our program. Partner Agencies, please note that we are requesting you to be actively involved in your clients’ pursuit of obtaining a vehicle. Pay stubs for the past two months and other paperwork to support income listed on application, e.g., food stamps, TCA, child support. Copy of non-certified driving record. Copy of written, working budget. Referral letter from Partner Agency. Cashier’s check or money order made payable to Second Chances Garage in the amount of $780. Please note that vehicles are distributed based on availability to eligible applicants. The process from submission of an application to receipt of a vehicle may take up to several weeks. Qualified applicants will receive a vehicle based on their needs and our current inventory and do not have the opportunity to choose a car (but are under no obligation to accept the vehicle offered). Submitting an application does not guarantee that you will receive a vehicle.